The Clifton line of shoulder planes are the direct descendants of the legendary Preston planes of old. Preston was bought out during the Great Depression by the company that became Record. 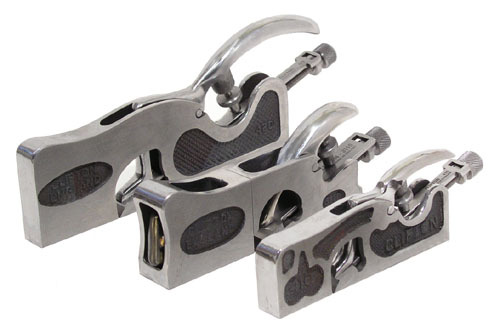 Later, Record passed the designs on to Clico Tooling, who later sold out to Thomas Flinn. Thomas Flinn produces the Clifton planes today. Modern Clifton planes, while admittedly not as decorative as the highly embellished Preston tools, are actually machined to higher tolerances. We think every shop should have at least one Clifton shoulder plane.